Caffeine (1,3,7-trimethylxanthine) is the most widely used psychoactive drug in the world. And is considered a nootropic because used in moderation it helps improve reaction time, alertness, memory and mood. Coffee typically contains more caffeine than most other beverages. 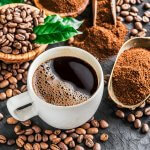 But caffeine is also found in carbonated soda, tea, energy drinks, energy shots, some fruit or fruit-flavored drinks and a few pre-formulated nootropic stacks. Caffeine consumption provides a boost in mental alertness, concentration, better athletic performance, and less physical and mental fatigue. 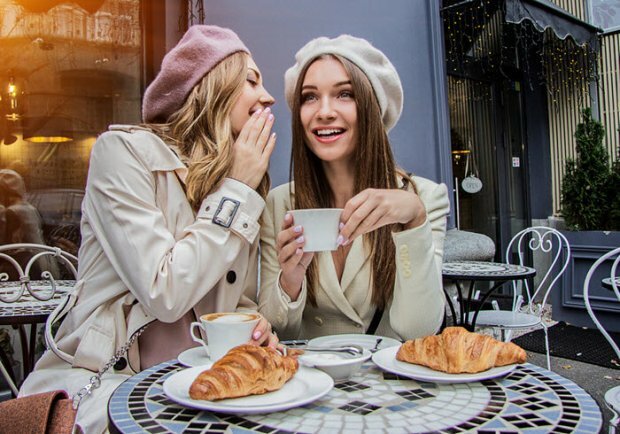 Caffeine and coffee consumption has also been associated with weight loss, improved glucose tolerance, a lower risk of Type II diabetes, reduced risk of Parkinson’s Disease and fewer Parkinson’s symptoms, and reduced risk of several types of cancer. In this review we are focusing on caffeine benefits to cognitive health. Mood. Caffeine improves mood within an hour of consumption. [iv] Because it increases the density of GABA receptors, potentiates dopamine, and causes some serotonin receptors to be more responsive. Caffeine (1,3,7-trimethylxanthine) is the most widely consumed stimulant and psychoactive drug on the planet. Caffeine is a methylated xanthine which are a group of alkaloids commonly used as mild stimulants. Xanthine is a purine base naturally found in most of your body’s tissues. Caffeine is chemically related to adenine and guanine which are bases of DNA and RNA. The most common source of caffeine is the coffee bean from which coffee is extracted. Other natural sources include leaves of the tea plant, cocoa beans, kola nuts, holly leaves, yerba mate leaves, seeds from guarana berries, and guayusa leaves. The earliest evidence of coffee as a beverage comes from 15th century Sufi monasteries in Yemen. By the 16th century coffee made its way north through the Middle East to Italy and the rest of Europe. Coffea plants where then exported with early explorers and settlers in the Americas. Chinese legend tells us tea as a source of caffeine was first used in about 3,000 BCE. 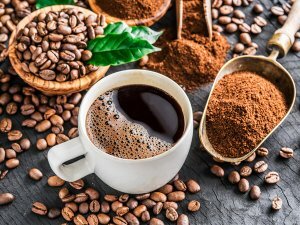 The earliest evidence of caffeine use native to the Americas comes from cocoa bean residue found in a Mayan pot dating from 600 BCE. Caffeine boosts brain health in several ways. But two in particular stand out. Caffeine promotes alertness. Caffeine is an adenosine receptor antagonist. 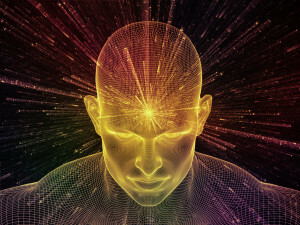 Adenosine functions as an inhibitory neurotransmitter in your brain. During the day, as adenosine levels rise, wakefulness decreases and eventually leads to sleep. A 13-night sleep lab study was conducted with 18 ‘normal’ young adult males. Each participant received a cup of warm water, 1-, 2- or 4-cups of regular coffee, a 4-cup equivalent of decaffeinated coffee, or a 4-cup equivalent of caffeine. Regular coffee produced dose-related changes in standard EEG sleep parameters. And 4-cups of coffee acted the same as the equivalent dose of caffeine. Caffeine caused REM sleep to shift to the early part of the night and stage 3 and 4 sleep to shift to the later than in a normal sleep cycle. Caffeine improves physical endurance. Multiple studies show that trained athletes experience improved performance from low to moderate doses of caffeine. Some studies found improved trial performance, and maximum cycling power. Likely from a greater reliance on fat metabolism and decreased muscle fatigue. Caffeine helps athletes train longer and at greater power output. And post-exercise recovery benefits from more glucose being taken up by cells and stored as glycogen. In fact, caffeine can be so effective in sports that the World Anti-Doping Agency (WADA) banned the use of caffeine in athletes from 1962 – 1972 and again from 1984 – 2003. Caffeine affects your body for about 4 hours after it is consumed. Withdrawal symptoms set in 12 – 20 hours after your last dose. The worst symptoms set in after about 2 days and can last for up to a week. Consuming caffeine increases dopamine in your brain which improves mood. Once caffeine leaves your system, you can get grumpy and tired. Researchers found continuous caffeine consumption increases your number of adenosine[xii], dopamine[xiii], and acetylcholine receptors[xiv]. And is likely why long-term use of caffeine causes tolerance. Caffeine is the most widely used psychoactive drug in the world. 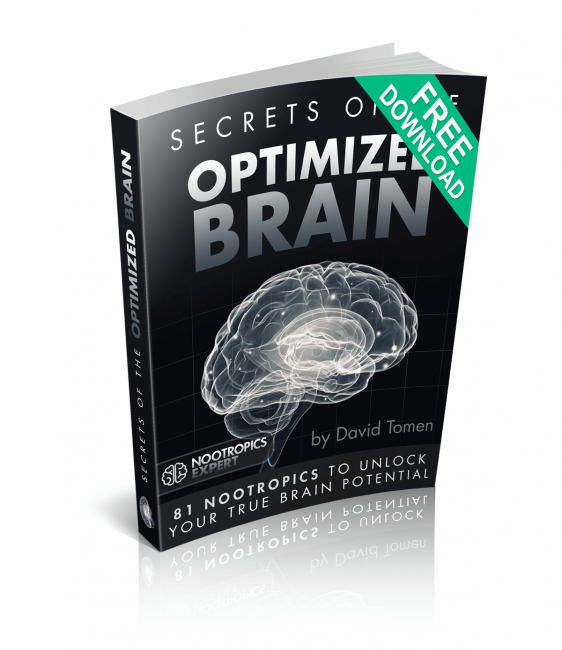 Boosting attention and normalizing mood and cognition. 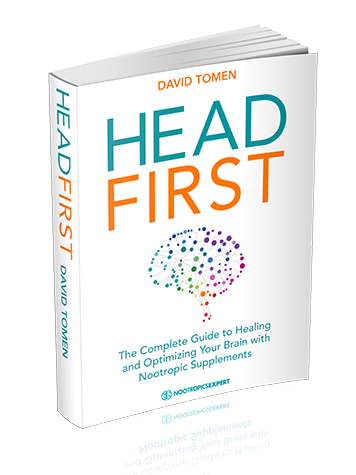 This study is especially relevant if you are looking for nootropics for study. Because it means caffeine consumed after a study session helps consolidate memory of what you studied. How you feel on caffeine varies from person to person. But for most it depends on how much you consume. Caffeine acts as a central nervous system stimulant. Once it crosses the blood-brain barrier the most noticeable effect is alertness. Caffeine stimulates the release of dopamine. Which accounts for the pleasant feeling you associate with your first morning coffee. Most neurohackers find consuming caffeine makes you more productive. You should find it easier to concentrate and get things done. Using a caffeinated beverage after a study session should help you recall what you studied more easily. But caffeine later in the afternoon or evening resets your internal body clock (circadian rhythm) and delays the natural rise of melatonin. Your brain’s primary sleep hormone. So consuming coffee, tea or an energy drink too late in the day will likely leave you unable to sleep. And quitting caffeine abruptly can lead to some nasty withdrawal symptoms. See the “Side Effects” section of this review for more. 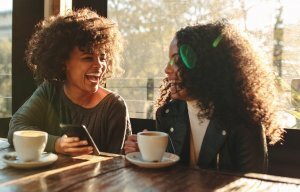 Drinking several cups of coffee daily appears to reduce the risk of suicide by about 50% according to a study at the Harvard School of Public Health. Study authors reviewed data from 3 large studies and found that risk of adult suicide who drank 2 – 4 cups of caffeinated coffee per day was about half compared to those who drank decaffeinated coffee or no coffee. Caffeine not only stimulates the central nervous system but also acts as a mild antidepressant by boosting production of serotonin, dopamine and epinephrine. 68 U.S. Navy Seal trainees were randomly assigned either 100, 200, or 300 mg of caffeine or placebo in capsule form after 72 hours of sleep deprivation and continuous exposure to other stressors. Cognitive tests included visual vigilance, reaction time, working memory, and mood. The chief researcher of the study, Harris Lieberman reported, “Even in the most adverse circumstances, moderate doses of caffeine can improve cognitive function, including vigilance, learning, memory, and mood state. Recent clinical studies have shown that caffeine intake enhances the effect of antidepressants in rodents. To find out if it worked in humans, researchers in China recruited 95 male inpatients currently on antidepressant medication. Patients were given 60 or 100 mg of caffeine daily or a placebo daily for 4 weeks. The results showed low dose caffeine improved cognitive performance in depressed patients. 60 undergraduate students at the University of Arizona were given an 8-counce cup of Starbucks Italian Bold coffee with caffeine or decaffeinated (as the placebo) between 6 – 7 am. The participants were then instructed to read a book for 30 minutes. Students who drank the caffeinated coffee performed significantly better than placebo with 30% improvement in memory. The researchers performed the same test with 43 students between 2 – 4 in the afternoon. In contrast to the morning session, the students did not experience any memory benefit. Studies show that older adults also have better memory in the morning. But memory ability declines in the afternoon. In another study adults over 65 who considered themselves “morning-types” were tested twice over an interval of 5 – 11 days. Once in the morning and once in the late afternoon. Adults who ingested decaffeinated coffee showed a significant decline in memory performance from morning to afternoon. In contrast, those who ingested caffeine showed no decline in performance from morning to afternoon. According to the Mayo Clinic, 400 mg of caffeine per day appears to be safe for most healthy adults. About the amount of caffeine in four cups of regular brewed coffee. [xxv] Or 1 ½ Starbucks ‘tall’ coffees. The half-life of caffeine is 4 – 6 hours and you experience the effects of caffeine for at least 4 hours. Be aware that sources of caffeine include coffee, tea, Coke, Pepsi, Dr. Pepper, Mountain Dew, 5-Hour Energy Shot, Monster Energy Drinks. And one Starbucks tall coffee can contain 235 mg of caffeine. So it’s surprisingly easy to quickly exceed your personal caffeine limit before you begin to experience caffeine toxicity. Everyone has a different tolerance level before experiencing the symptoms of a caffeine overdose. Listen to your body to know what your personal limit is. One of the most popular and simple nootropic stacks is caffeine stacked with L-Theanine. A study with 49 people was conducted at Wageningen University in the Netherlands to assess the effects of caffeine, L-Theanine and epigallocatechin gallate (EGCG) (which is found in green tea) on mood and cognitive performance. Study authors noted as little as 40 mg of caffeine has been shown to improve performance on long-duration cognitive tasks, alertness, arousal and vigor. The team also noted just 200 mg of L-Theanine improved feelings of calmness, relaxation and less tension. And when L-Theanine and caffeine were combined there was a significant improvement in alertness and attention-switching task performance. More so than with caffeine alone. The researchers concluded, “these studies provided reliable evidence showing that L-theanine and caffeine have clear beneficial effects on sustained attention, memory, and suppression of distraction. Caffeine is a xanthine alkaloid that can be profoundly toxic and deadly. But reports of caffeine overdoses resulting in death are relatively rare. [xxviii] However, it’s surprisingly easy to go into caffeine toxicity territory so please always check the labels on caffeinated beverages and energy drinks. Doses as little as 200 mg can be toxic to sensitive people. Symptoms of caffeine toxicity include feeling ‘wired’, breathing trouble, confusion, diarrhea, fainting, fever, hallucination, increased thirst and/or urination, heart palpitation, restlessness, sweating, muscle tremors and rapid heartbeat. Caffeine is addictive and you can quickly build up a tolerance to its energizing effects. Caffeine withdrawal is serious and can include anxiety, fatigue, headaches, irritability, digestive problems, and trouble concentrating. 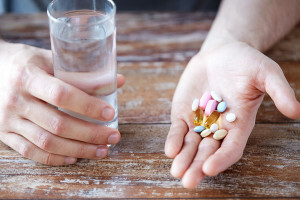 Do NOT combine any source of caffeine with ephedrine, quinolone antibiotics, propranolol, theophylline, certain birth control pills, or echinacea. Check with your doctor or pharmacist if you are using any other medications that may be affected by caffeine. Doses of 10 grams of caffeine can be fatal. Although this varies from person to person. [xxix] In one case a person died from only 240 mg of caffeine. A teaspoon of caffeine powder has 3,200 mg of caffeine. 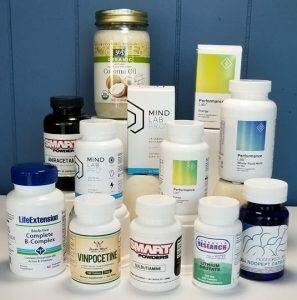 You get caffeine from a variety of sources including coffee, green or black tea, energy drinks or shots, caffeinated beverages like cola, yerba mate, chocolate, OTC stimulant supplements, some weight loss drugs, and a few pre-formulated nootropic stacks. Caffeine is a natural alkaloid found in the seeds and leaves of certain plants. Caffeine in coffee originates primarily from the bean of Coffea arabica, a shrub or small tree that grows in high-altitude subtropical regions of the world. Caffeine anhydrous is manufactured from the beans of coffea plants. “Anhydrous” means without water. Caffeine is extracted from the bean and dehydrated. Which produces a highly concentrated caffeine powder. We recommend using Caffeine as a nootropic supplement. Your body does not make caffeine on its own. You get varying amounts of caffeine from coffee, tea, energy drinks and shots, yerba mate, and some pre-formulated nootropic stacks. All caffeine is the same regardless of the source. Its effects are dose-dependent up to a tolerable limit. Caffeine is particularly effective as a study aid because consumption of a caffeinated beverage after your study session should help you consolidate the memory of what you studied. Caffeine is especially helpful for athletes because it improves performance and reaction time. And increases alertness and focus. And caffeine helps improve mood. Tolerance to caffeine builds quickly so expect to continue dosing with moderate amounts of caffeine every day to avoid withdrawal symptoms. And caffeine is great to stack with L-Theanine because the combination helps increase alertness, memory and mood. While L-Theanine helps counteract some of the negative symptoms of caffeine’s stimulant qualities. Suggested starting dose of caffeine is 200 daily. See how your body reacts. The absolute upper limit is no more than 500 mg of caffeine per day. This site is really good! I’ve been reading through several of the articles and am impressed with the quality of research and writing. Largely because of that, I wanted to ask you something. Several places on the web have mentioned that it’s possible to use phenylaline or tyrosine to avoid the effects of caffeine withdrawal. (I’m interested in this because I like to cycle caffeine, but the withdrawal symptoms are unpleasant at times.) Do you have any thoughts on the efficacy (and safety) of using them for this? I was also thinking that mucuna pruriens could be used for the same purpose — it seems similar, just further down stream of neurotransmitter precursors. I’d be curious as to your thoughts on these ideas. Thanks! Joshua, never thought of that but sounds like a sound idea. The dopamine pathway goes like this L-Phenylalanine > L-Tyrosine > L-DOPA > dopamine. So the further along that pathway you introduce a dopamine precursor, the faster the synthesis of that neurotransmitter. Let us know how it works in your experience. Random note — lemon balm seems to help a bit with the withdrawal headaches also. I’d encourage others to give this a shot and see how it works for them. Thanks for this input Joshua.